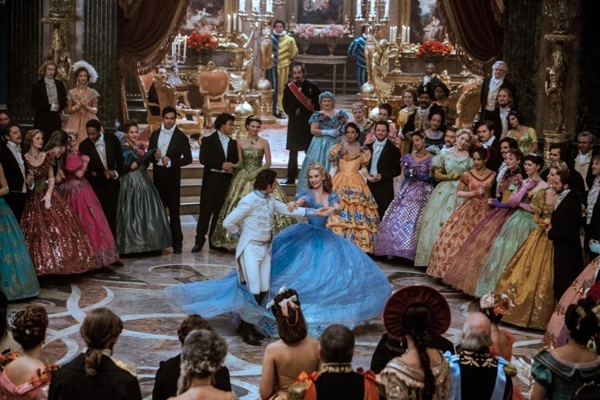 In honor of Heidi's Cinderella Week/Party, I have promised to give a review of the new Cinderella movie. And just to give you fair warning.. This won't be much of a review, I probably won't even get to the stuff a normal review covers, I'll be to busy fangirling!! And spoilers shall be peppered throughout. But quickly: it was a wonderfully clean movie, the worst was only a few low cut gowns, and references to magic. Seriously, very clean. Okay. Onto the good stuff. So I woke up this morning, thinking about how I needed to write this review.. And realising that I hadn't seen this movie since it came out... Tragic I know. So mom and I sat down and watched it again tonight.. And I was reminded how beautiful this movie really is. This movie is one of the most soft, sparkly, swishy and colorful movies ever.. It's so pretty and sunny, and a pleasure to watch. It is witty and fun, yet has some truly powerful messages. And it's just truly touching. I mean, I was crying about five minutes into it. And I was thinking, "this is a Disney movie!! I shouldn't be crying this early." Well, just because I thought I shouldn't be crying doesn't mean I wasn't going to anyway. 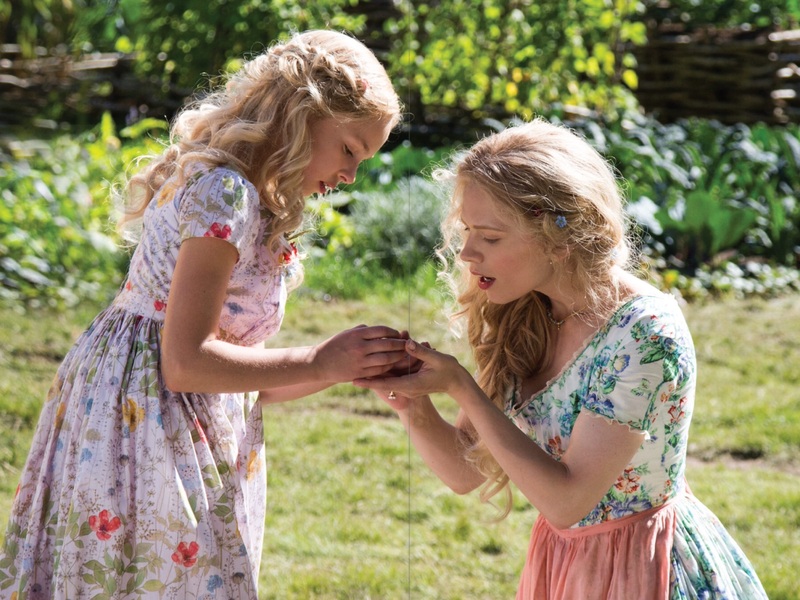 Ella is the sweetest, kindest, and most patient heroine you will ever meet... She has such a wonderful heart; what a wonderful role model!! If there were more people like her, the world would be a better place, mark my words. I love her. Though I haven't a smidgen of her patience. I probably would end up making sarcastic remarks to the stepmother and sisters... Ahem. The wicked step mother and sisters were perfect. Despicable, wicked, cruel, and utterly ridiculous. They made you really dislike them, and pity them in their stupid little lives. 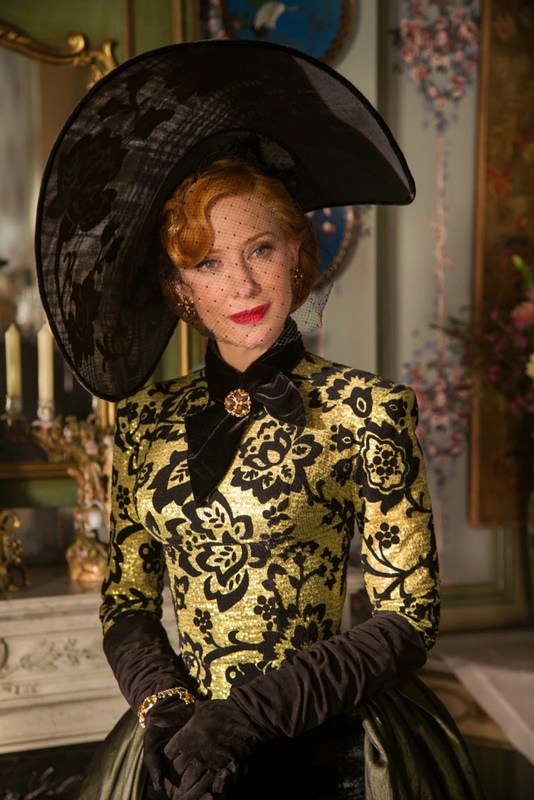 And Cate Blanchett was awesome, by the way.. But then again, Cate is always awesome. Oh Kit. Kit Kit Kit. I wuvs him. So much. He is so sweet, and loyal, and funny, and wise. I love the part where he tells his father he intends to marry for love, and still is on good terms with him, and ends up curled next to his dying father. THE FEELS ARE REAL PEOPLES. I love that he didn't want Ella to know he was a prince. Ya. I'm just gonna show you all a clip of the dance. Maybe that will sum it up. And Ella so beautifully forgives her step mother.... This happens. And then we just get to drink all the feels in. 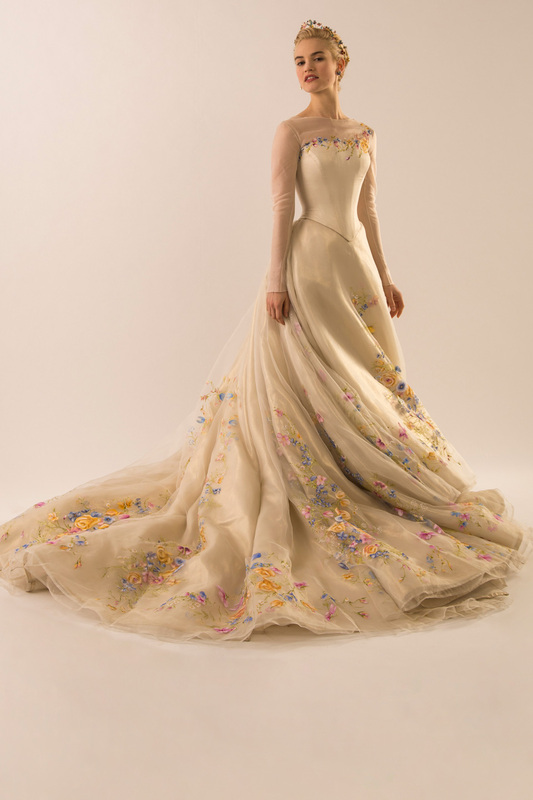 And we get to experience this gorgeousness that is the wedding dress... And the lovely "they lived happily ever after." ending, so that by the end you are just a happy little heap of feels on the floor. Cause this movie is brilliant, and if you haven't seen it, then you should. Now. Thank you. But I'm ecstatic over the new Beauty and the Beast, because Cinderella was never my favorite cartoon and I loved the corresponding motion picture, and Beauty and the Beast WAS one of my favorite Disney movies, so I think I'll adore the motion picture. (The casting itself is crazy awesome). YES!!! I can't wait! It sounds so good! 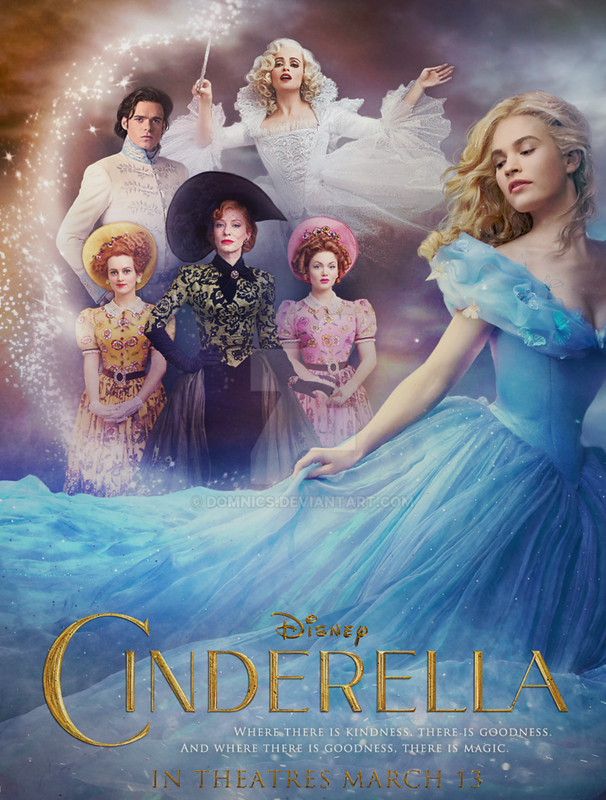 Though Cinderella has been my favorite, I really am most like Belle, so I'm excited to see her in a live action movie. Thanks! I know. I mean fast-forwarding works fine... But it gets weary after a while, and it's so easy to become lazy, and end up letting little things slide, and before you know it your letting yourself see things that don't need to be seen... Why can't movie writers see that you can still have an incredible romantic movie with out tons of un-needed sexual things?? Ugh. To quote Elizabeth Bennett: "The more I see of the world, the less I am inclined to think of it." Thank you!! Oh, you should watch it ASAP!! Oh me to! 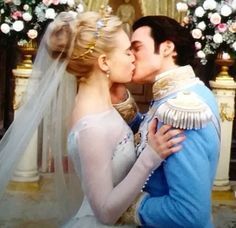 I can't wait to see it, I have always been the most like Belle, so it should be good. I KNOW ALL THE SWISHY SPARKLY BUTTERFLY GOLDEN GOODNESS OF THIS MOVIE. And oh my word, the part when Kit curls up on his father's chest. EVERY. STINKIN'. TIME. The first time I saw this in the theater, I was not expecting to love it, or to be emotionally affected by it. I was really just there to see if my two daughters (3 and 5 at the time) would like it, because taking them to a movie in the theater is a rare treat. I did not bring Kleenex. I should have, because I cried and cried and cried. Over the beauty and the happiness and everything all together -- I still can't get through a viewing without tearing up. Amazing movie. I love how straight-forwardly it's told, don't you? It's not trying to twist the story in some new way, or modernize it, or subvert it. Kenneth Branagh is a master of telling a story well and simply, and I respect him a lot for that. Oh I know what you mean. I knew I was going to like it, but I wasn't expecting to be so touched by a Disney princess movie for heaven's sake!! oh how wrong I was. It most certainly is amazing. I. Love. Thor. He is one of my top-favorite characters. Oh my giddy aunt, what a wonderful guy he is. Yes, Branagh directed the first Thor, though not the second, and he did precisely the same wonderful thing there: told a straight-forward story. He didn't laugh up his sleeve about it, or get all condescending, or try to make it dark and "edgy." He told the story and trusted that it could stand on its own without any story-telling frippery. That's one of the main reasons I wanted to see this when it first came out -- I knew I could trust Branagh to tell the story well. (Same goes, of course, with his Shakespearean films, as well as less-well-known gems like Dead Again.) He said that Thor actually made him think of Henry IV and Henry V, though I see a lot of parallels with Hamlet as well. ME TO!!! Although I must admit that Loki is my favorite in the Thor franchise.. He is just so epic and cunning and undeniably clever. He also is a fascinating character to study. I really love him. Oh yes, every single time!!! Glad I'm not the only one.. YES, those dresses are AMAZING!!! 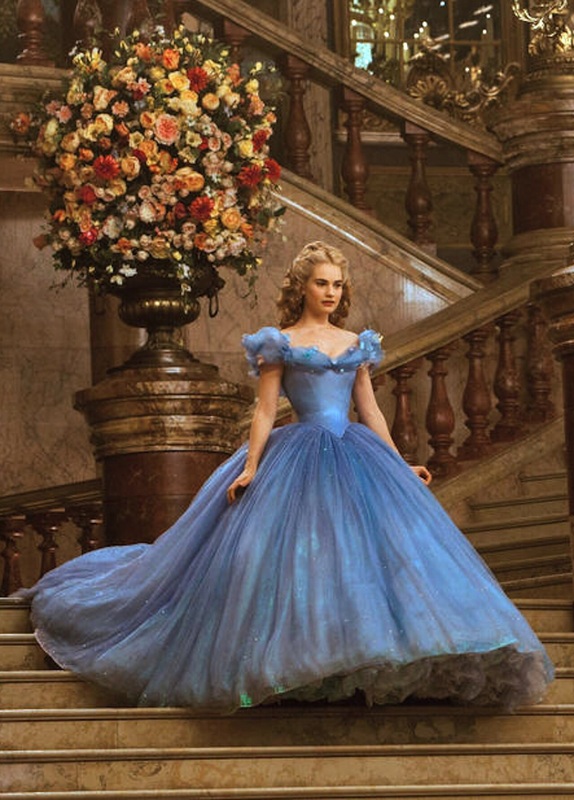 Even the stepsisters' and stepmother's dresses are great! Thank you!!! Oh, I know the feeling... It happens to me with so many movies!!! OH MY WORD THE DRESSES!!! Gorgeous.